Gov. Gary R. Herbert led a delegation of 20 Utah companies and six organizations on a trade mission to South Korea and Taiwan to boost trade and attract foreign investment to Utah. The Utah Governor’s Office, the Governor’s Office of Economic Development (GOED) and World Trade Center Utah (WTC Utah) organized the first leg of the trade mission held Sept. 17-21, 2018. Gov. Herbert joined the mission’s second leg in Taiwan, having canceled his plans to be in South Korea earlier in the week due to the Pole Creek and Bald Mountain Fires. Representatives from the Governor’s Office met with many diplomatic officials to strengthen global relationships. One of the highlights of the mission was the Gyeonggi Province signing and Korean cultural celebration reaffirming a 35-year sister-state relationship between the State of Utah and Gyeonggi Province. The cultural celebration included a memorandum of understanding. GOED and WTC Utah also hosted an investment roundtable in the region, met with local businesses and toured the University of Utah Asia Campus. Taiwan and South Korea, like Utah, places a significant emphasis on innovation and entrepreneurialism. Gov. Herbert engaged in discussion with key business leaders from Taiwan about potential investment in Utah. The governor and representatives from the Governor’s Office met with American Institute in Taiwan Director Brent Christensen, Taiwan President Tsai Ing-wen, and Minister of Foreign Affairs Joseph Wu. 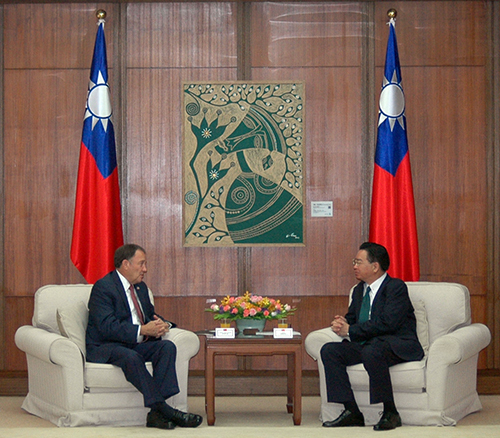 Governor Herbert meets with Taiwan’s Foreign Minister Joseph Wu, in Taipei, Taiwan. 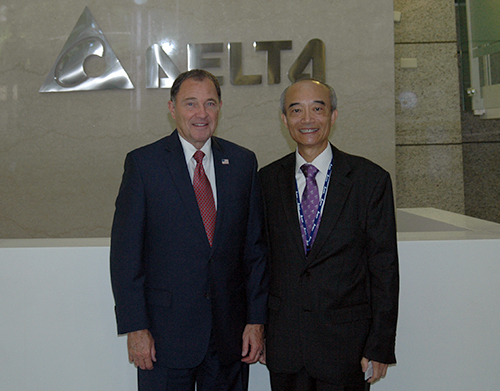 Governor Herbert with R.T. Tsai Vice President of Delta Electronics, in Taipei, Taiwan.